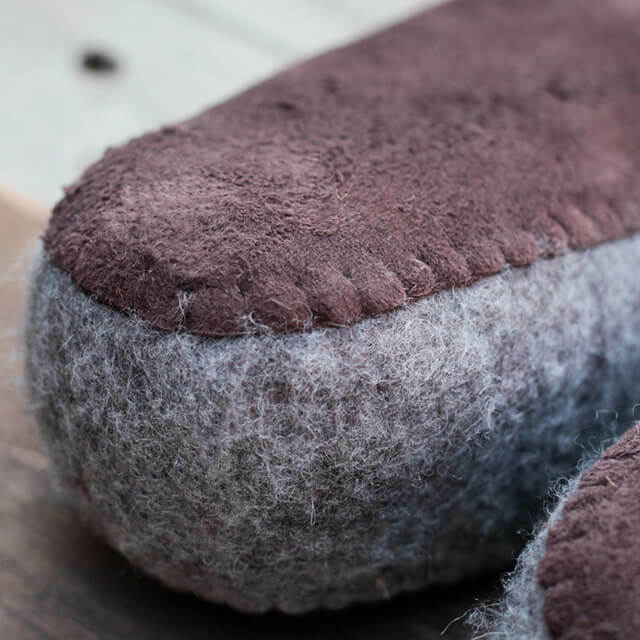 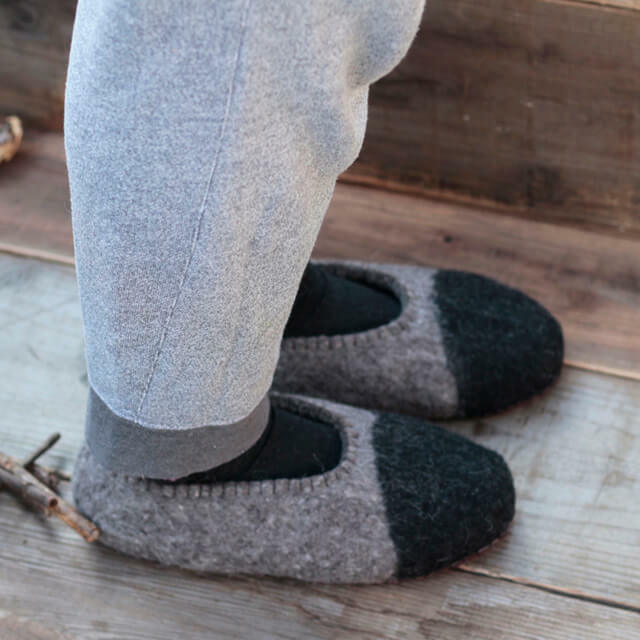 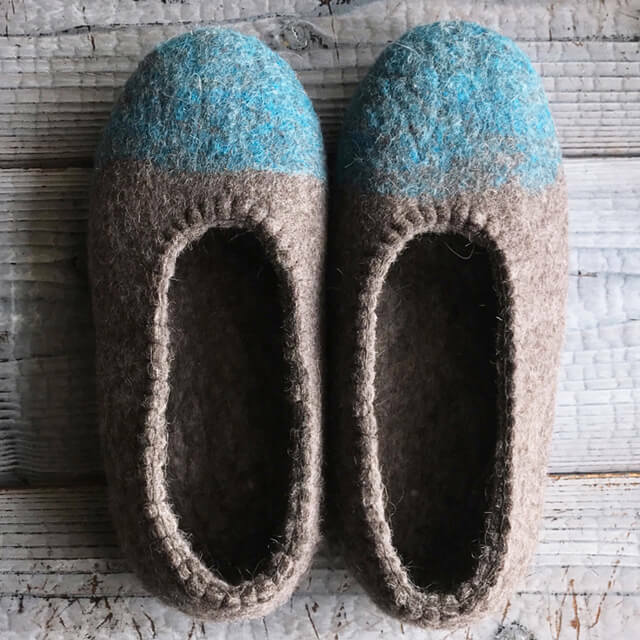 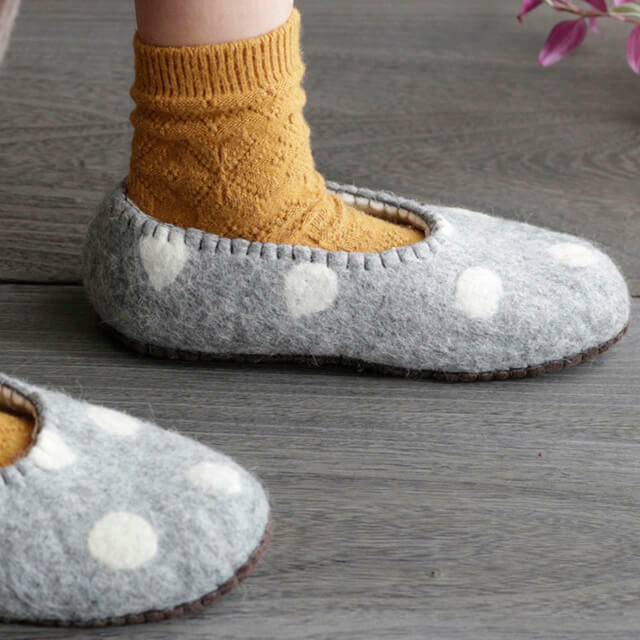 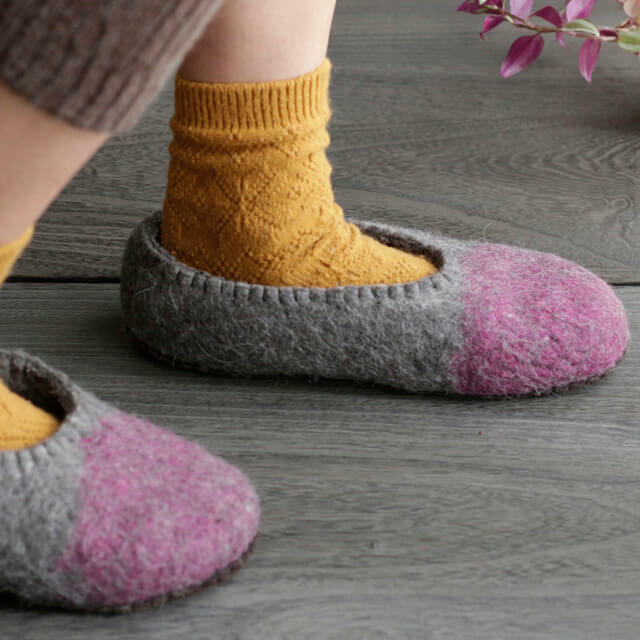 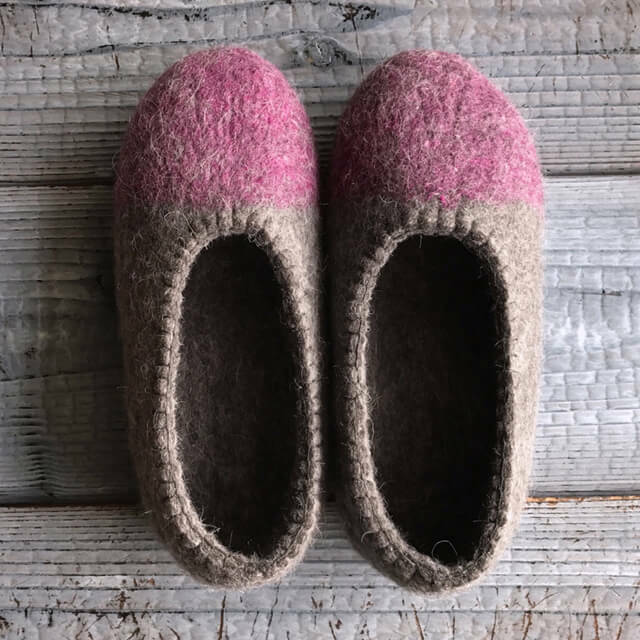 The wool felt room shoes are made from only the fine sheep's soft hair living in the prairie. 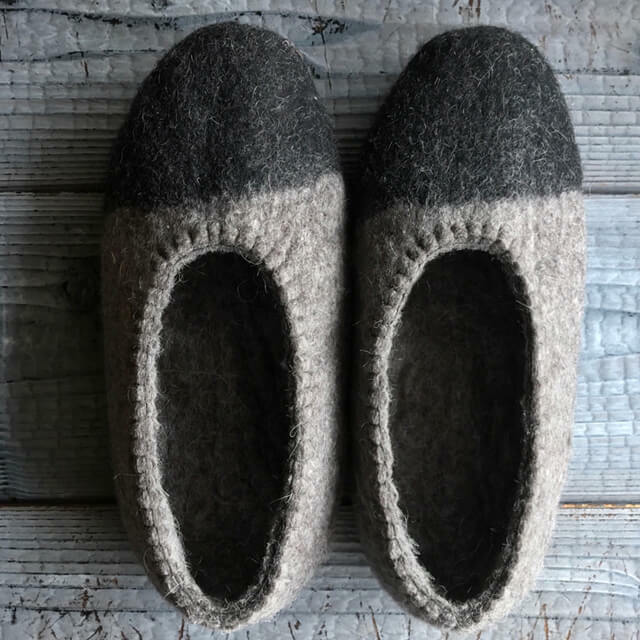 Mongolian wool felt that are rubbed for hours with soapy water can block the outside air by including a thick layer of air in the wool and always keep the body temperature. 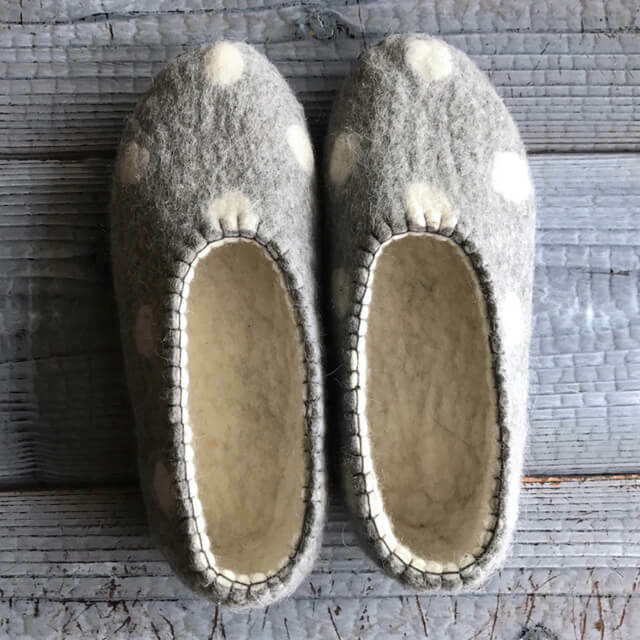 It is also excellent in breathability, so even in warm spring and autumn and summer cooler rooms you can use it comfortably without steaming. 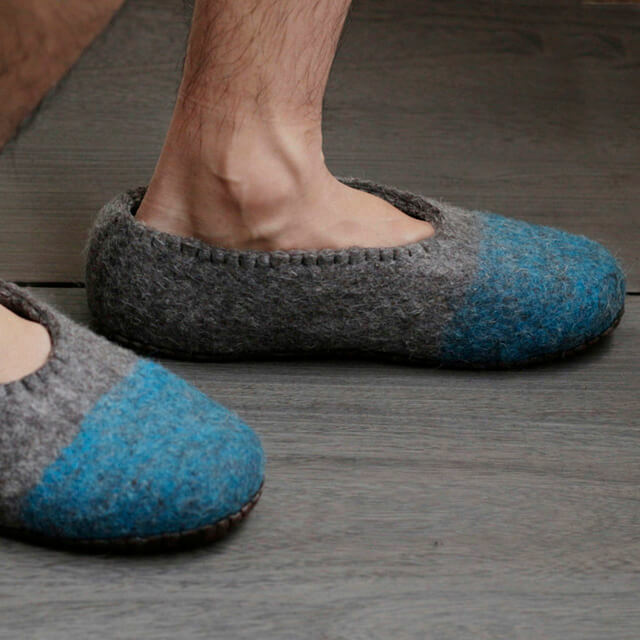 This is a nomadic room shoes like a Ger that can adapt to severe temperature differences in seasons. 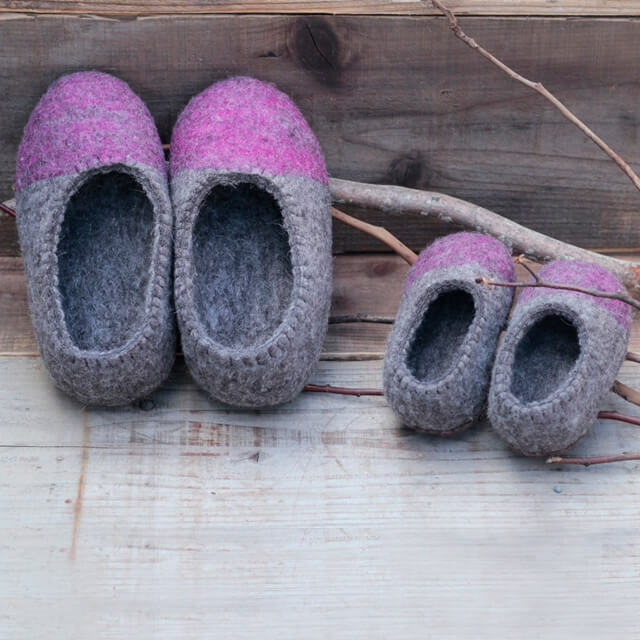 All are handmade in a small workshop in the town of Mongolia. 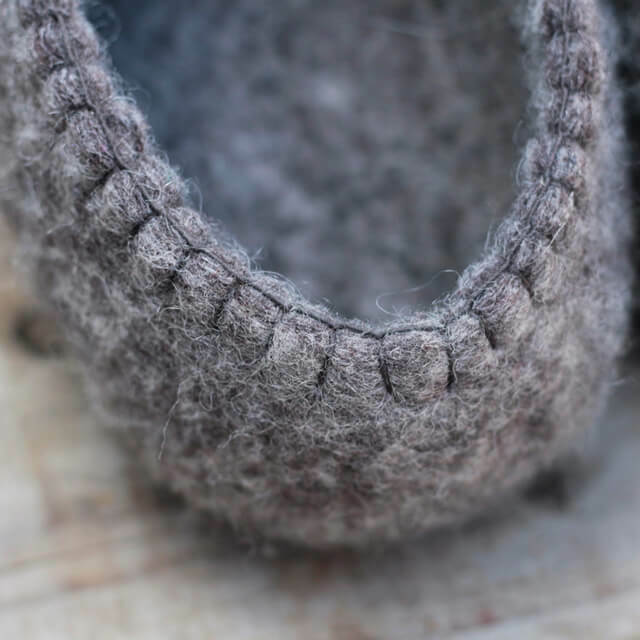 Felt may progress shrink when washing intensely with a washing machine.